Apartment living is the pits -- noisy neighbors, rent, and thin walls just to name a few reasons to hate it. Then there is the dreaded move, when you are finally leaving and have to start thinking about all the havoc your existence has reeked on the place. There are the mould stains in the bathroom you happened to neglect, grease stains all around the kitchen and the most feared of all, a hole in the wall. Certainly, with the hole, you won't be getting your deposit back. 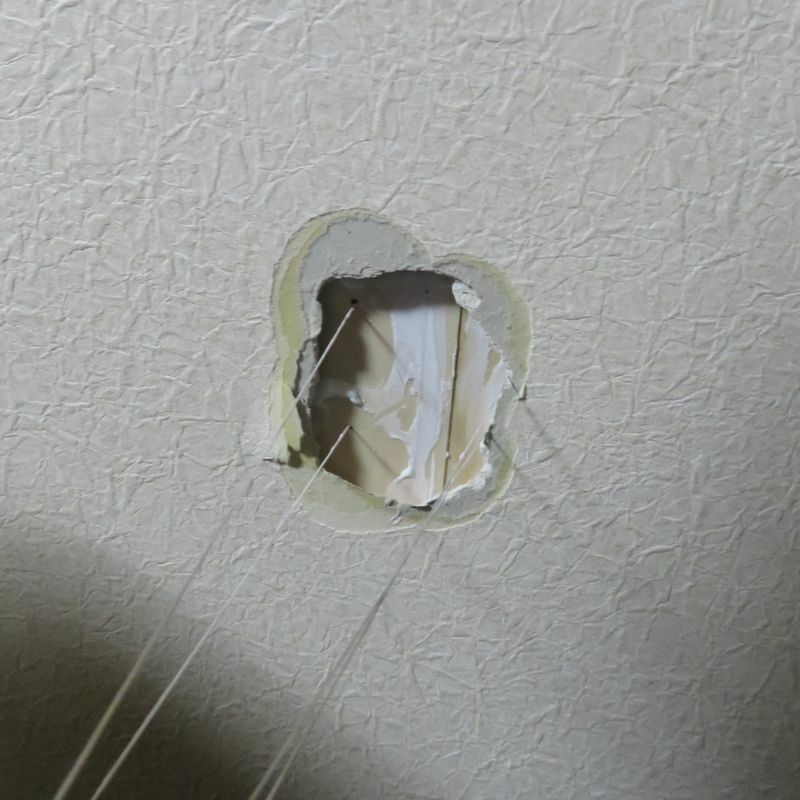 You could just take the hit like your wall did and pay the fine to fix it, or before your landlord notices, you could fix it yourself. Get your hands dirty with a bit of DIY. 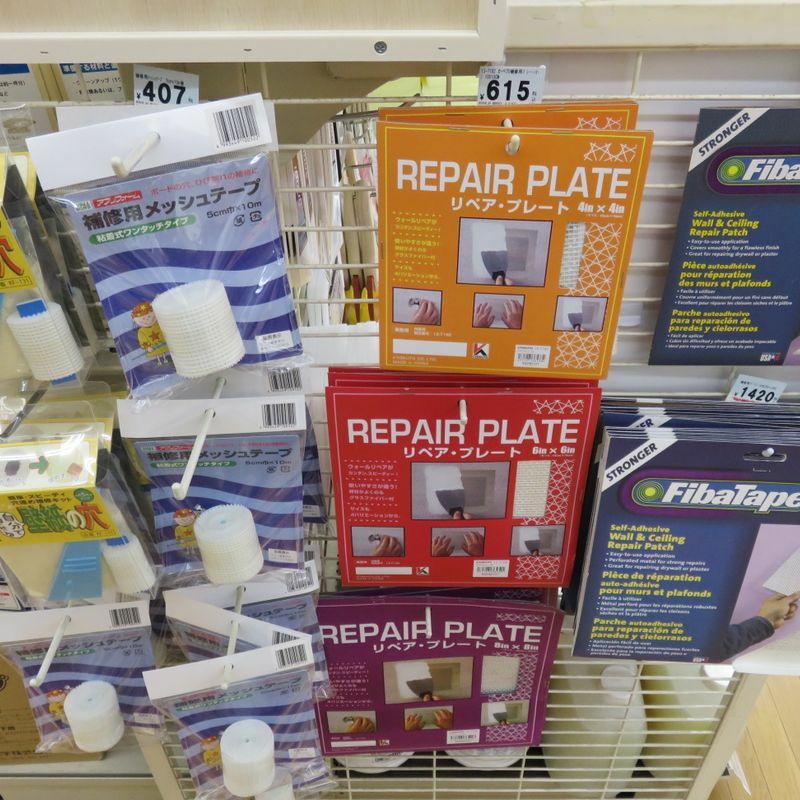 The first thing you will need to do is get yourself over to a home improvement store. 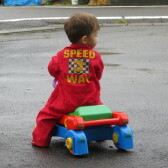 Around here that means Sekichu, Cainzhome, Viva home, or Joyful Honda. 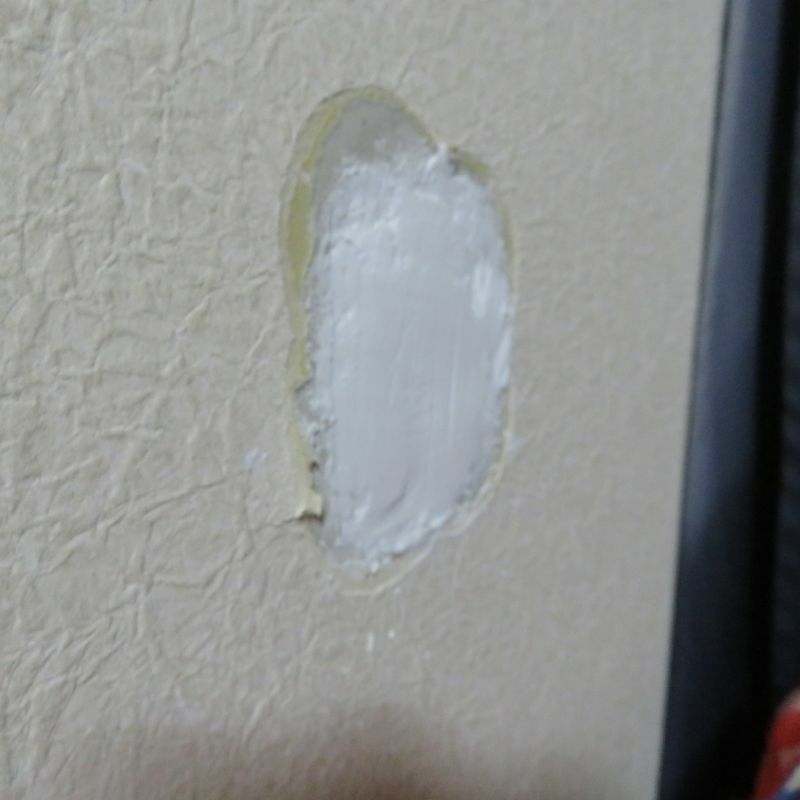 There are a couple of different ways to go about repairing your wall, some of them I don’t recommend. 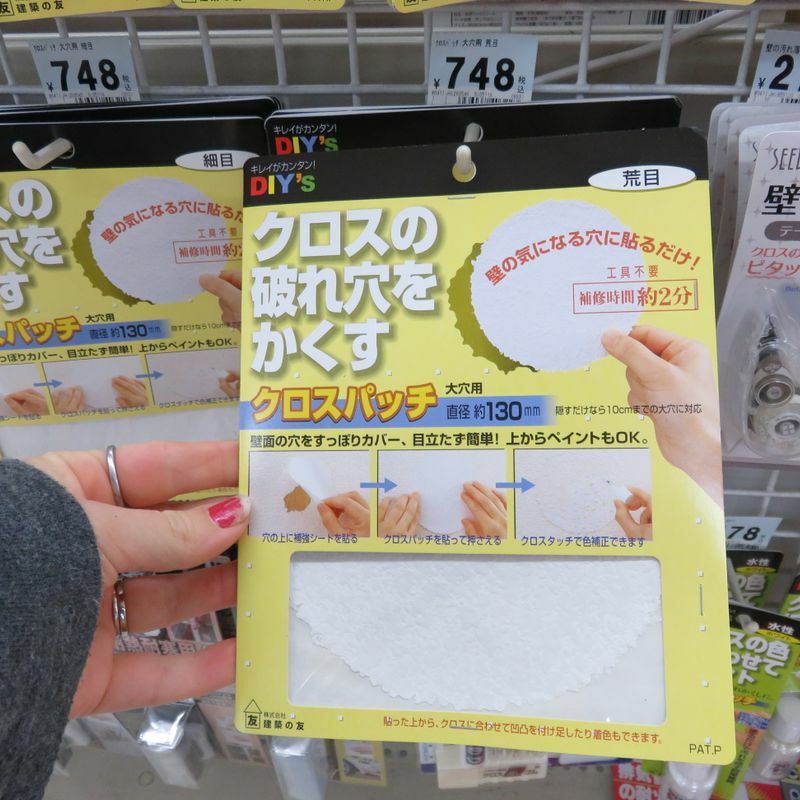 For example, found near the wallpaper section of home stores in Japan, as well as the small repairs section, that there are wallpaper patches used to just cover a hole. This means there is still a hole and even just a small amount of pressure will rip it open again. Please don’t do this to your landlord or the next renters coming in. Instead, we are going to go through how to actually repair the drywall. 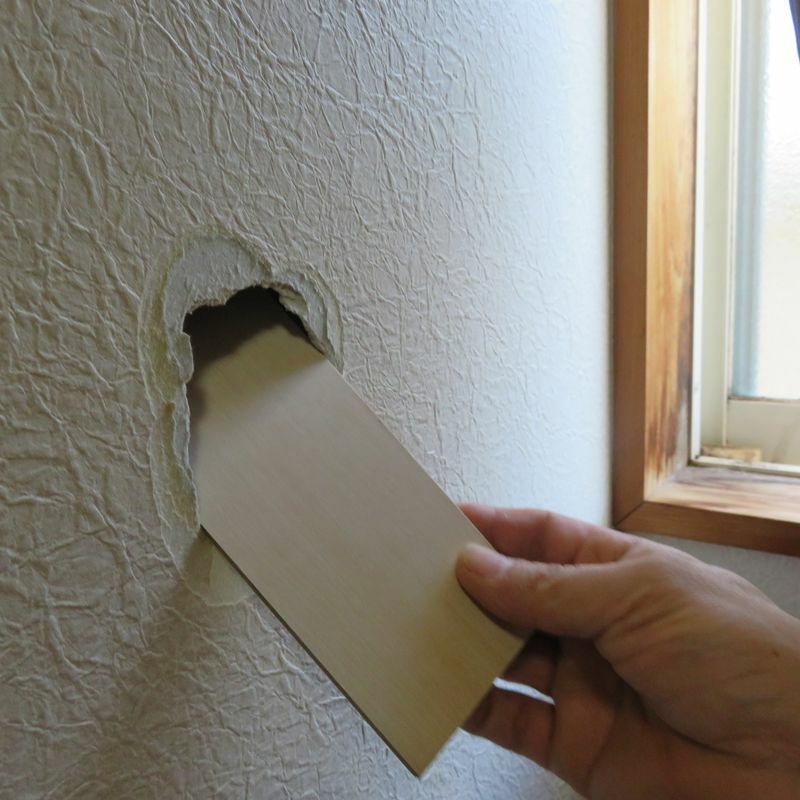 Your board needs to be wide enough to cover the hole but narrow enough to fit into the hole when angled to the side. 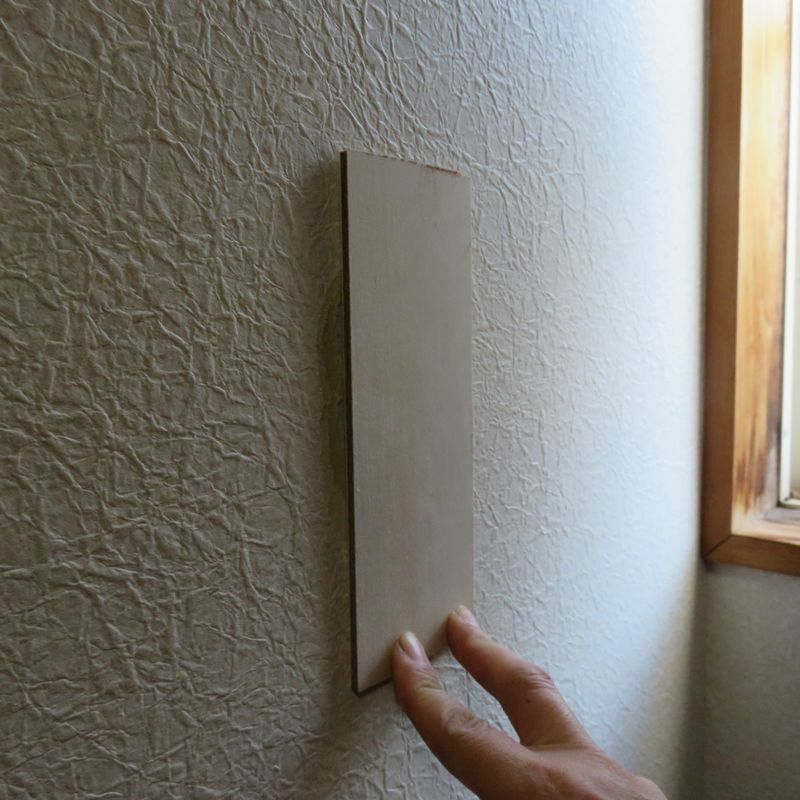 You will be sticking the board behind the hole, plugging it up, and filling the space with cement. We used two pieces of narrower board and made sure they fit snug together. What you are going to want is to attach the string to the board. We drilled two holes for the string to loop through. If you don’t have a drill you could also just screw with a screwdriver to create the holes. Or figure out your own way to attach the string. 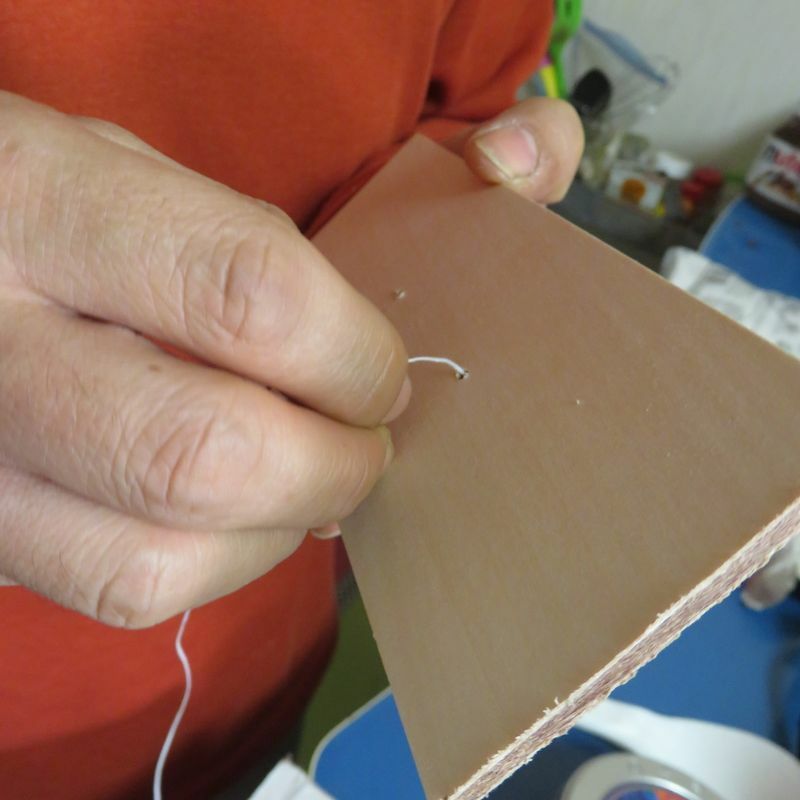 Apply glue to the board and carefully slip the board into the hole behind the wall. 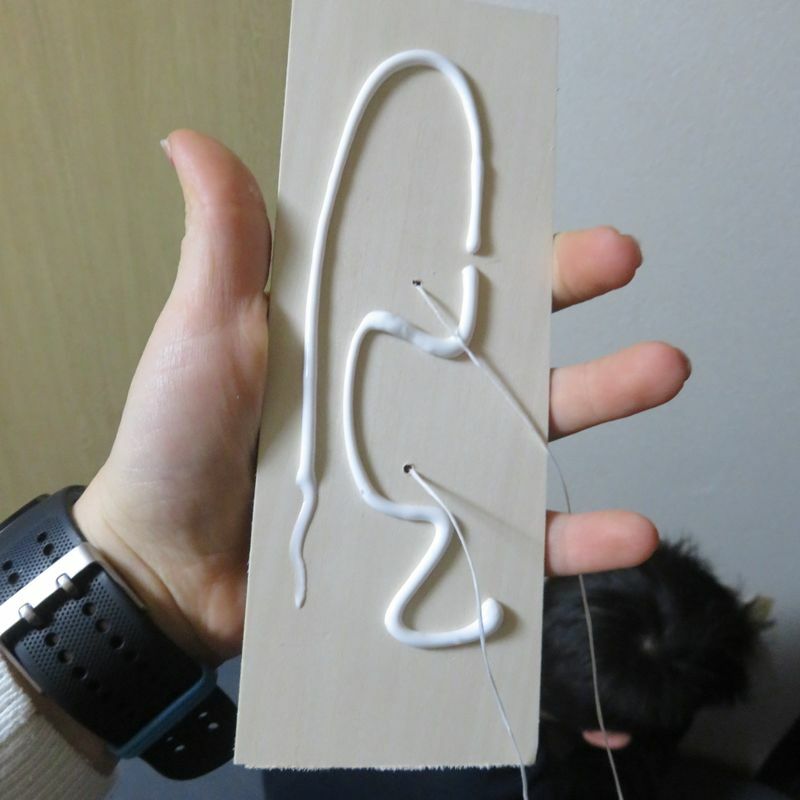 Pulling the string taught, you are wanting to attach the board firmly to the wall. Hold it there until it has dried enough that you know it is stuck. If you are confident the board is well stuck, you can cut the string. We cut ours part way through applying the mix. The bag calls for a liter of water per bag of mix. We only used half the bag, so 500 ml of water. At first, the solution will be extremely liquidy. Keep stirring constantly for about 5 mins. Once it begins to thicken you will only have about a minute of working time. Spread the mix into the hole with the spatula, trying to get it completely filled but somewhat flat. Any bumps can be smoothed down with sandpaper and elbow grease. You want the fresh mix to lie flush with the old drywall, not the surrounding wallpaper. Allow to cure for a full 24 hours. Repair the wallpaper. You should have a smooth surface to just lay the new wallpaper onto. We found matching wallpaper at Viva Home after looking at Joyful and Cainz with no luck. Now to just install it. We totally failed at our first attempt with the drywall mix. 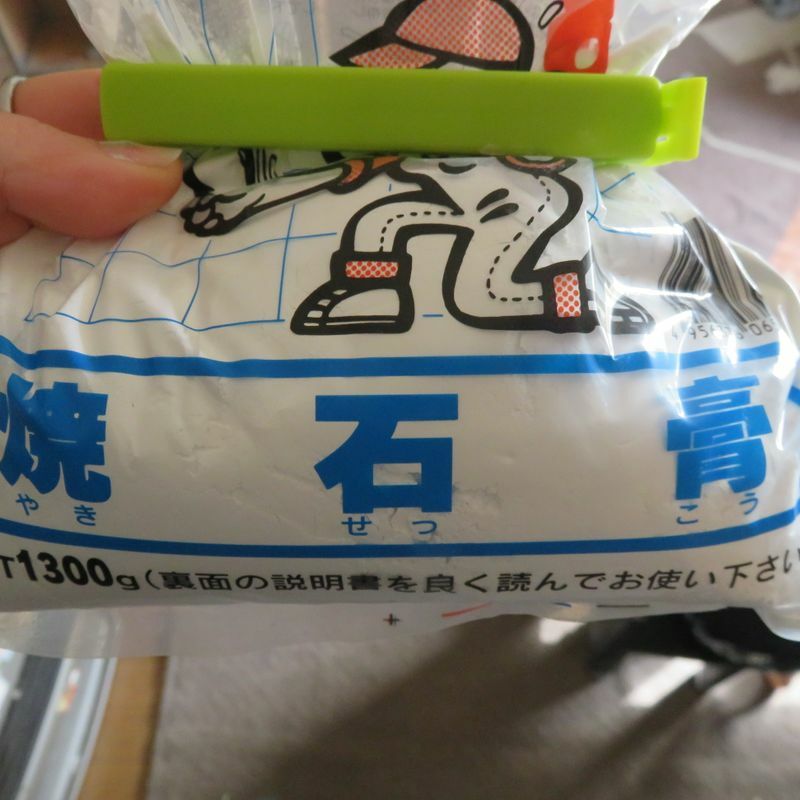 It changes very quickly from soup to solid, so be careful and work quickly.